Having finished second in the K-League last season, Jeju United will once again be competing in the AFC Champions League in the upcoming 2018 season. This is great news for those who can't wait to get their soccer fix as the Champions League kicks off around a month before the start of the K League season. 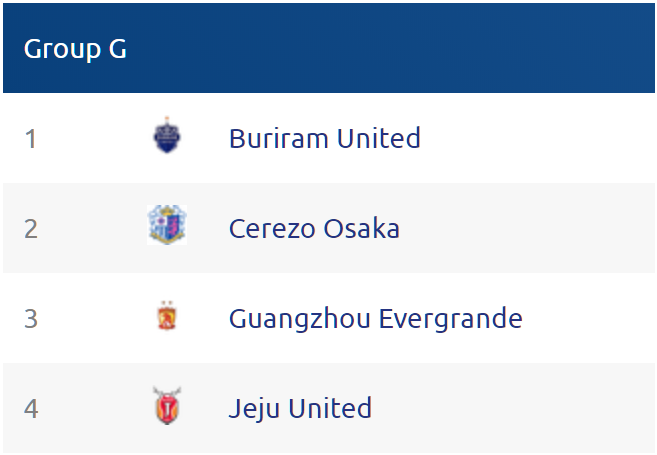 This year Jeju United will be in a group with Cerezo Osaka, Buriram United, and Guangzhou Evergrande. Jeju's toughest test will most likely come from Chinese team Guangzhou Evergrande. Managed by Italian World Cup winner Fabio Cannavaro they have won the Chinese Super League Last every year since 2011. They have also seen success in the AFC Champions League having won the competition in 2013 and 2015. In terms of the other opponents in the group, Japanese team Cerezo Osaka qualified after finishing third in the J-League. This was despite last season being there first since their repromotion from the second division. Thai team Buriram United are currently one of the strongest teams in SE Asia and they won the Thai League last year. They have a good record when it comes to qualifying for the tournament having featured in every competition since 2012. However, once qualified they have generally struggled and they lost five of their six group stage games last year, including a 6-0 defeat to Korean team FC Seoul. The first fixture of the year will be a home game Cerezo Osaka on Wednesday, Feb. 14, with the second (and final game before the start of the K League season) being on Feb. 21 away at Buriram United.